With 13 major ski resorts across British Columbia, a ski trip to this Canadian province is the ultimate bucket-list experience for any skier or snowboarder. There’s a lot of terrain to explore, incredible snow to enjoy and a variety of resorts to choose from, offering everything from family-friendly groomers to some of the gnarliest runs in the world. We’ve picked our 10 favourite runs from across British Columbia, covering everything from the longest to the steepest and the most beautiful. If you can’t cover every run across the 13 resorts, make sure at least one of these is at the top of your list. 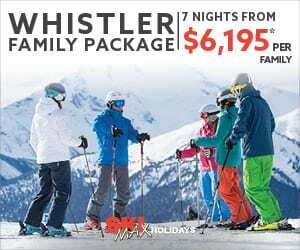 If you’re thinking of heading to Whistler Blackcomb, you’ll have plenty of runs to choose from. This is the largest ski resort in North America, with over 8000 acres of terrain spread over two mountains and more than 200 runs to ski. You won’t want to miss Peak to Creek, an 11km run that happens to be Whistler’s longest. With gorgeous views and an intermediate pitch, it’ll leave your legs burning – but that’s all the more reason to relax with some après after what might’ve just been the longest run of your life. A Caesar from Dusty’s is the local’s choice for a refreshing drink after a Peak to Creek lap. Plenty of lines to be found on The Cliff at Big White Ski Resort. The Cliff is the steepest section to find at family-oriented Big White Ski Resort, which offers up 118 runs across the resort. It’s a double-black section of terrain that lives up to its name – you ski over the ledge of the cliff and into the bowl, which is wide-open and offers spectacular views over the surrounding mountains. Head there in the morning of a powder day, right after they’ve finished avalanche-blasting the area, for the best fresh lines. With a chairlift dedicated to the area, you’ll also be able to lap The Cliff as many times as you’d like. 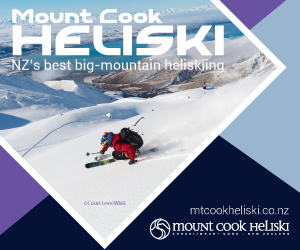 Mt Kirkup is the perfect adventure for those looking for something off the beaten track. It’s an area inaccessible by chairlift, and as a result, offers tree runs and powder that can be just about untouched. The best part? You can only access it via the Mt Kirkup cat ski, which runs daily throughout the season from an on-mountain pick-up point. Rides on the cat are just $10 a pop and will take you out to the area, where you can choose your line and end up back in the main ski area of RED Mountain, which offers up another 110 runs. Confident intermediate and advanced skiers will be happiest in this zone. Kicking Horse offers up no less than 85 alpine chutes to explore, with everything from rocky steeps to tree runs full of untouched powder – after all, despite having North America’s fourth highest vertical drop, this resort is never crowded. It’s easy to find a nice local to share some of their on-mountain favourite spots, but start off with a lap through the wide-open Grizzly Paw to warm up the legs and get some mountain air into the lungs. Then finish off your day with an elk burger or goat’s cheese bison meatballs at one of the on-mountain restaurants – Canada, eh? Anyone who’s ever skied Fernie will mention Cedar Bowl. While you’ll find plenty of snow on this mountain, with an average annual snowfall of 9 metres, Cedar Bowl is a particularly perfect spot to find the best powder. With lots of natural rollers to play with and beautiful views, head to Snake Ridge for the local’s favourite snow spot, then choose from any one of the resort’s 142 runs, spread over 2500 acres of skiable terrain. What was once an out-of-bounds playground for brave backcountry skiers has now come into the Sun Peaks resort boundary of 135 runs and over 4000 acres of skiable terrain, making it far more accessible for skiers and snowboarders. There’s still a 15-minute hike required to get out to the fresh powder and incredible terrain, but it’s well worth it – the elevation and the nature of this area mean that it often gets some of the best snow on the mountain that also happens to be largely untracked. Revelstoke is known for being authentic, unique and steep – there’s terrain here to challenge even the most confident skiers and boarders. For those who are up for what might be one of the more difficult runs on the mountain, head to Kill The Banker. This double-black run will offer up pillows, drops and tree lines, all over the killer views of the high alpine. Then gather up what’s left of your courage and try any one of the remaining 68 runs, or head to the mid-mountain Revelation Lodge for a butter chicken poutine. The Monster is the top fiend of Panorama’s expansion in the inbound backcountry style terrain of Taynton Bowl. The bowl is steep and exhilarating, and a not so quiet achiever for those who know Panorama best for groomed cruisers. Accessed by lift and the new Monster X snowcat, the terrain out here is unrelenting and a total thrill for those who like their snow deep and challenging. You’ll often hear people talking about the ‘backside’ of SilverStar, where the mountain goes from beginner-friendly and hero skiing terrain to runs designed to get your heart pumping. Try any one of the double-black runs including Chute 5, Kasanova, Rusty Whistle or Three Wise Men, then end up on Nirvana to cruise your way to the base of the Powder Gulch Express so you can go back up and do it all again. Any one of Whitewater Ski Resort‘s 82 marked runs are a whole lot of fun, but make sure you go for a lap on Faceplant. The name says it all – fall here and you may find yourself face-planted into the snow. This run has a black diamond rating and powder pillows and is named after the local Nelson Brewing Company beer, called Faceplant Winter Ale. That is serious kudos right there. 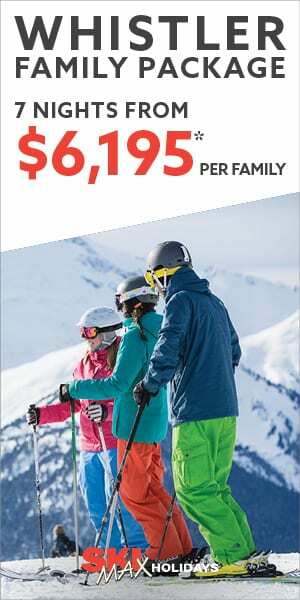 For more information skiing and snowboarding in British Columbia – along with the road trips, the activities on offer and, of course, the scenery – click here.